Maize endosperm consists of three distinct types of tissues, including the starchy endosperm (SE), the basal endosperm transfer cell layer (BETL), and the aleurone cell layer (AL). Compartmentalization of these tissues during endosperm differentiation makes the endosperm development an excellent model to study changes in gene expression during development. By utilizing cryo-dissection of developing endosperm, morphologically distinct samples can be obtained for transcriptome and epigenome analysis. 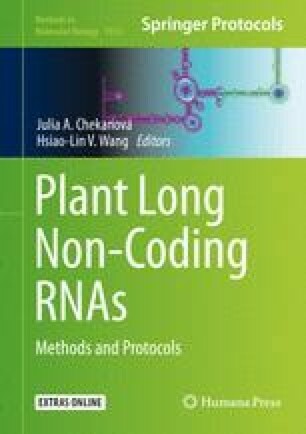 Here, we describe methods for the isolation of tissues from developing maize endosperm and for the transcriptome analysis to identify novel long noncoding RNAs. The transcriptome data can be further analyzed to illustrate spatiotemporal changes in both coding and noncoding transcripts during the endosperm development. The online version of this chapter ( https://doi.org/10.1007/978-1-4939-9045-0_3) contains supplementary material, which is available to authorized users. B.H. Kang and S. Sung are supported by USDA NIFA Award AFRI grant (2011-67013-30119). B.H. Kang is also supported by the grants from the Research Grants Council (RGC) of Hong Kong (GRF14126116, C4011-14R, and AoE/M-05/12), Cooperative Research Program for Agriculture Science and Technology Development (Project No. 10953092018), and Rural Development Administration, Republic of Korea, and S. Sung is also supported by NIH (GM100108) and NSF (1656764).